The esteemed Maxi Priest - his Rastafarian name - is one of the most successful crossover reggae-dub-R&B from these shores. He has enjoyed enormous international acclaim with his 1990 smash 'Close to You' topping the American Billboard charts. He remains the only reggae artist from this country, or anywhere else, to have achieved that feat. A year later he duetted with the legendary Roberta Flack on 'Set the Night to Music' and again made the US Top Ten. Building on that track record his collaboration with Shaggy, 'That Girl', became another hit via heavy rotation on MTV. During this time Maxi has worked with a slew of well known and up and coming acts, including Sly & Robbie, Jazzie B, Apache Indian, Shabba Ranks and jazz guitarist Lee Ritenour, maintaining a career that is both cutting edge and smartly mainstream. His smooth vocal delivery and perfect melodic pitch are weapons in his armoury but his writing skills and ear for a choice cover should not be overlooked and his live act, honed to perfection after thirty years in the business, keeps this engaging artist on top of his game. Born in Lewisham to Jamaican parents, Max Alfred Elliot learnt his craft in the South London sound systems scene - Saxon Studio International being one meeting place for new artists - and the funky small studios that thrive in the area. Reggae and dance hall music fired his own enthusiasms and having Jacob Miller of Inner Circle as a family member fired his imagination at first hand. You're Safe and particularly Intentions made ripples for sure. You're Safe is a straight ahead lovers rock classic featuring tracks like 'Hey Little Girl', 'Dancing Mood', 'Throw Me Corn' and 'In The Springtime'. The sound is stuffed with great brass players while pal Paul Robinson on drums and various other Robinsons boss the rhythms. This and Intentions were rare finds for ages so great to have back on catalogue. On Intentions Drummie Zeb's production and immaculate writing showcased Priest's golden larynx and announced him as a new guru for the lovers rock sorority. Let's face it, he's also a good looking chap. Members of Aswad contributed greatly and the stand out cut 'Strollin' On' enabled Priest to play Sold Right Out concerts as the headliner in Hammersmith and Brixton and booked him his place on the Reggae Sunsplash event which he took by storm. But it was his self-titled third album, Maxi, which contained a skanking version of Cat Stevens' 'Wild World', and a great interpretation of Robert Palmer's 'Some Guys Have All The Luck' that perked up ears. Recording back in Jamaica with Sly & Robbie and Willie Lindo at the controls the sparkling results were clear to see. Maxi's international fame now grew apace and he became a superstar in Japan. The 1990 album Bonafide, his first major worldwide release, sold stacks in the States thanks to 'Close to You' whose heady mix of R&B and new jack swing captured the era perfectly. Working with fellow writer Gary Benson and producers Sly Dunbar, JA rock steady soundman Geoffrey Chung and Handel Tucker, Priest's talent was clear for all to hear. Pop when he felt the need and authentically roots rock if the groove demanded, Maxi's arrival was a classy affair. Musicians on this album include drummer Sly's bass playing partner Robbie Shakespeare, Nellee Hooper, Cleveland Browne, Luis Jardim and Erskine Thompson – and they're just from the rhythm section. Other specialists are Dennis Rollins on trumpet and Carlton Ogilvie on keyboards, synths and drum programming. Among the many highlights are 'Human Work of Art', 'Just a Little Bit Longer', 'Peace Throughout the World' (featuring Jazzie B), 'Best of Me' and 'Sure Fire Love'. 1992's Fe Real had a more Caribbean feel and flavour. A stellar take on the boudoir anthem 'Groovin' In The Midnight' and the party hearty up-tempo pieces like 'Just Wanna Know' and 'Promises' shine out yet there are more contemplative, internal style at play on 'Sublime' and 'Amazed Are We' that lend the album weight and balance. Add that Roberta Flack duet, with Arif Mardin's glorious arrangement - a lovely thing. Man With the Fun (1996) contains the Shaggy partnered 'That Girl', Maxi's fifth Top Twenty UK hit and a guaranteed floor filler to this day, and the lovely 'Watching the World Go By'. With production to match Priest's ultra smooth vocals and plenty of tip-top song writing – Steve Cropper and Booker T. Jones oversaw 'That Girl' – ensure a profoundly satisfying listening experience. There's a natty take on Sting's 'Message in a Bottle', Chaka Demus & Pliers grace 'Happy Day' and Buju Banton and Beres Hammond keeps it fe real on the rootsy 'Heartbreak Lover'. Definitely one of Priest's best this – recommended without hesitation. CombiNation (1999) has the air of a concept and that concept is the age old man and woman thing. Maxi's mature stance is matched by some incredibly seductive vocalising on the ultra-soulful 'What a Woman Needs' (penned with British artist Joe) and 'Wasn't Meant To Be'. Ballads aside there's a healthy helping of fat dance floor groove in 'Mary's Got a Baby' which rocks the joint thanks to Beenie Man's outrageous contribution. 'Tell Your Man To Take A Walk' is a real finger snapping gem too – great title and great attitude. It was during this period that Priest gave something back, forming the Dug Out organisation. Amongst their early successes was young R&B singer who recorded with Maxi his South London basement. She also sings on 'Back Together Again', as does Maxi's son Ryan from the boy band Ultimate Kaos. 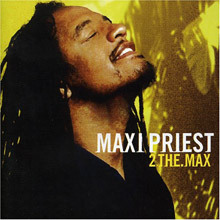 2 The Max was one of the most eagerly awaited reggae albums of 2005. The opener 'Believe in Love' was already a radio hit in Jamaica when it arrived on our shores. There is also a welcome remake of 'Wild World' to savour and a husky take on Sting's 'Fields of Gold'. Back to roots time comes on the seventies flavoured 'Cry For The Children' while 'Full Hundred' is a Priest family affair abetted by producer Livingston Brown. Lauryn Hill's sound supremo Commissioner Gordon is also on hand. 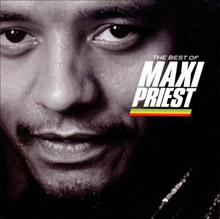 To complete the story we'd like to point you in the direction of the collections discs, The Best Of Me and Best of Maxi Priest with Maximum Collection to come. The Best Of Me includes the Shabba Ranks dee-jay'd 'Housecall' and a selection of hits past, present and future. One of the best male singers of recent years, Priest's talent ultimately transcends genre. He simply makes great music. All hail the sultan of smooth. 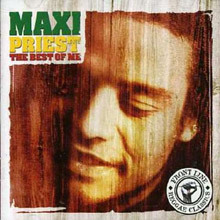 The Best of Me collects nearly all of Maxi Priest's pre-1992 U.K. and U.S. singles, and results in a timeless, breezy, and thoroughly engaging album. 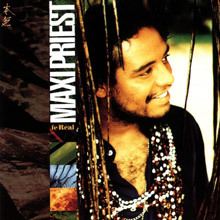 Maxi Priest doesn't really tackle the heavy social themes that many of his reggae contemporaries do - instead, he sings about love, life, and summertime (what, in other words, is known as "lovers rock"). Included here are nearly all of his U.K. hits, including "Strollin' On," "How Can We Ease the Pain," "Peace Throughout the World," and his cover of "Some Guys Have All the Luck," as well as his near-perfect version of Cat Stevens' "Wild World," which broke him to U.S. audiences, and his funky and immortal 1990 U.S. chart-topper "Close to You." Also included is his hit duet with Shabba Ranks, "Housecall," in which Maxi Priest, with his honey-smooth vocals, completely steals the show, as well as his minor U.S. hit "Just a Little Bit Longer." This CD was released in 1991, after the phenomenal success of "Close to You" and its album Bona Fide, therefore, later hits such as "Groovin' in the Midnight," "That Girl" (with Shaggy), and his massive duet with Roberta Flack, "Set the Night to Music," don't appear. Until a later and complete hits package is assembled, The Best of Me, which also features great pictures, song lyrics, and detailed liner notes, more than fits the bill. 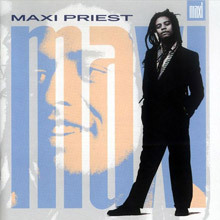 Released in 1987 it shows just why Maxi is one of top British reggae singers. This album features his classic crossover hit ‘Wild World’ – also ‘Goodbye to Love Again’, ‘How can we Ease the Pain’ and “Same Old Story’ Among the musicians on this album were Robbie Shakespeare and Sly Dunbar who also produced some of the tracks. Few artists have explored the possibilities of pop-reggae fusion as successfully as Maxi Priest, who is enormously popular in his native Britain and has achieved a level of stateside success that other reggae artists (with the exception of UB40) can only wish for. His smooth voice and his comfort with soul and hip-hop have only increased his marketability; purists may scoff, but there's no denying his talent. CombiNation finds him working in an explicitly soul-influenced style - "What a Woman Needs" and "Wasn't Meant to Be" are seductive smooth groove ballads that have no noticeable connection to any reggae tradition - with frequent detours into muscular hip-hop and dancehall grooves. "Mary's Got a Baby" is a monstrously funky collaboration with Beenie Man (a stripped-down remix ends the album); "Tell Your Man to Take a Walk" takes a similar approach, this time in partnership with the DJ Red Rat. Slow love songs predominate, although they don't provide most of the album's highlights. Recommended. 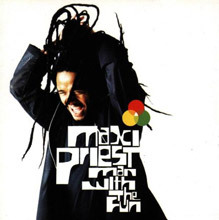 Showcasing Maxi Priest's talent for shaping reggae, dancehall, and soul into a distinctly pop-oriented and commercial amalgam, Man with the Fun happens to be one of Priest's better efforts, simply because the quality of the production and songwriting is uniformly first-rate throughout the record. Of course, there are quite a few mediocre tracks, but the smooth sounds of Priest's voice and the seamless production hold your interest until the album arrives at high points like Maxi's duet with Shaggy, "That Girl." 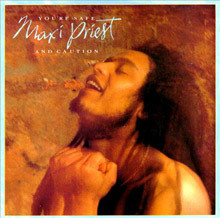 Maxi Priest’s debut album produced by Paul Robinson (aka Barry Boom) has him performing with a much rawer style than his later outings. It includes the tracks ‘Throw me Corn’, ‘Sensi’ and ‘Fatty Fatty’. This album has a light lovers rock vibe – particularly one of the best tracks, the swaying ‘Dancin’ Mood’ and also the celebratory ‘In the Springtime’. The first outing from the man who has gone on to become the King of Lovers Rock. 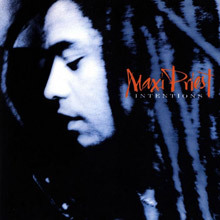 Maxi Priest suffered a bit of a sophomore slump with Intentions, but the best songs - "Woman in You," "Crazy Love," "Strollin' On" and "Let Me Know" - illustrate just how effective and infectious his reggae-pop can be. Released in 1992, this album shows Maxi at his very best with ‘Can’t Turn Away’, ‘Groovin’ in the Midnight’ and ‘Promises’. A real Summer special record, this album received less airplay in the US than his previous album ‘Bonafide’ but is a real treat for fans of reggae. 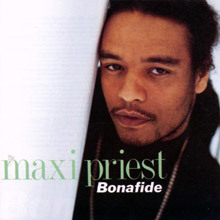 Priest scored a #1 pop hit with "I Just Want to Be Close to You" from this album, which is more pop/R&amp;B with a reggae touch than it is real reggae. Since his appearance on the British lovers-rock scene in the mid-‘80s, Maxi Priest has become not just a reggae icon but an international pop superstar. 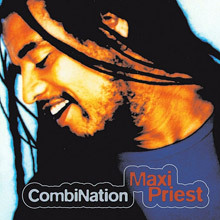 Impressively, Maxi’s breezy mix of dancehall, roots and pop R&amp;B has struck a chord with mainstream pop audiences in both the U.K. and the U.S., making him one of only two U.K. acts to score a Billboard number-one hit--the sultry “Close to You.” THE BEST OF MAXI PRIEST is a useful career recap, focusing on the pop crossover efforts that have brought the singer widespread critical and commercial plaudits. From appealing cover material, like his bouncy roots-flavored take on Cat Stevens’s “Wild World,” to uplifting anthems, such as the soaring “Watching the World Go By,” BEST OF is a satisfying roundup of one of the reggae world’s most accessible artists. This album was released in 2005 and was recorded in Jamaica, New York and London. Stand out tracks include ‘Fields’, a cover of Sting’s ‘Fields of Gold’, ‘Hero to Zero’ and his Jamaican radio hit ‘Believe in Love’. On this album he also did a reworking of the Cat Stevens’ song ‘Wild World’ that had been abig hit single for Maxi back in 1988. There are a number of collaborations with Shaggy, Beres Hammond and Wyclef – a classic reggae album.